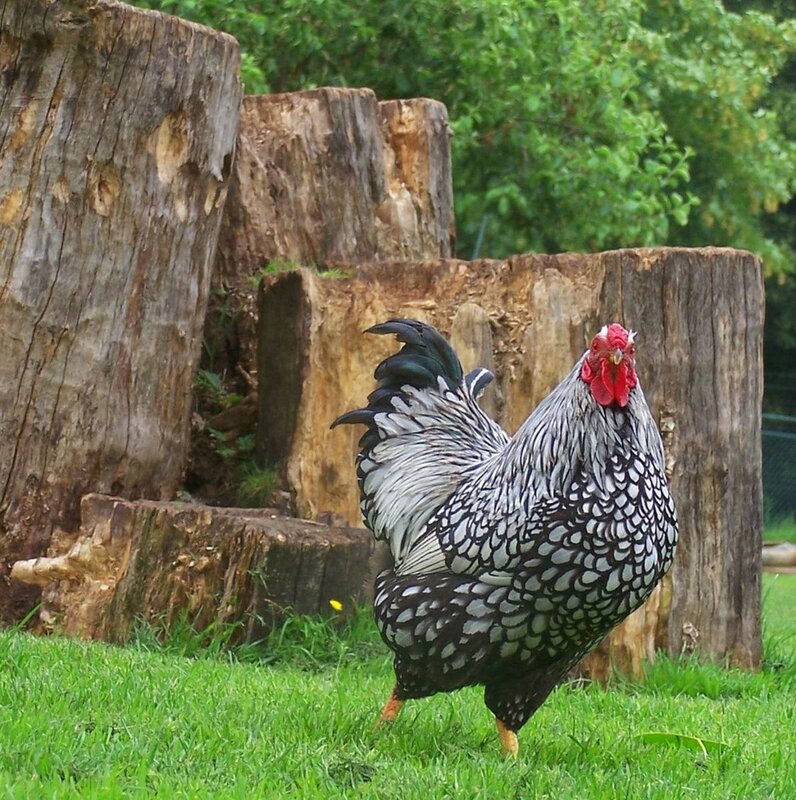 This chicken breed has been around for over a hundred years and was developed in the United States. It is the original Wyandotte, meaning that all other Wyandotte variations came from the Silver Laced. This breed is known for their beautiful black and white feathers and bright red combs and waddles. The combs on these chickens are referred to as rose type combs. They are dual-purpose birds and are raised for both eggs and meat. Females will lay approximately 150 to 220 eggs per year. The eggs are medium in size with brownish shells. The hens are known for being fantastic mothers and going broody. If you have a rooster in your coop and you want chicks, you'll want to have a Silver Laced Wyandotte in your flock. They are beautiful chickens and will be medium in size when full grown. The hens weigh an average of 6 pounds each; the roosters will top out at just under 9 pounds. Most people start their flocks by purchasing chicks. You can usually find chicks in the springtime at your local feed store. They are quite small in the beginning but grow quickly. When you bring your chicks home, you'll want to have a brooder ready and waiting. They are easy to set up and you don't need to spend a ton of money on creating one. You'll want to feed your chicks a feed that is nutritionally designed for chicks. These feeds can be purchased online or from your local feed store. Keep clean, fresh water available at all times. These guys grow quickly so making sure that they are kept clean, dry, watered and fed at all times is necessary for a healthy adult bird. You will want to keep the chicks indoors, in a barn or in a garage until they have lost all of their chick fuzz and are fully covered in feathers. The fuzz does not keep the chicks as warm as the feathers do. Daily excursions to the outdoors to enjoy the fresh air, eat bugs and grass and get used to being outside are fine but once the outdoor temps start to fall, the chicks will need to go into a warmer environment for the night. Remember to never leave chicks unattended outside. They are especially vulnerable to predators including cats, hawks and dogs while they are small. It is a horrible experience to find that you have missing chicks because they were left outside unattended. 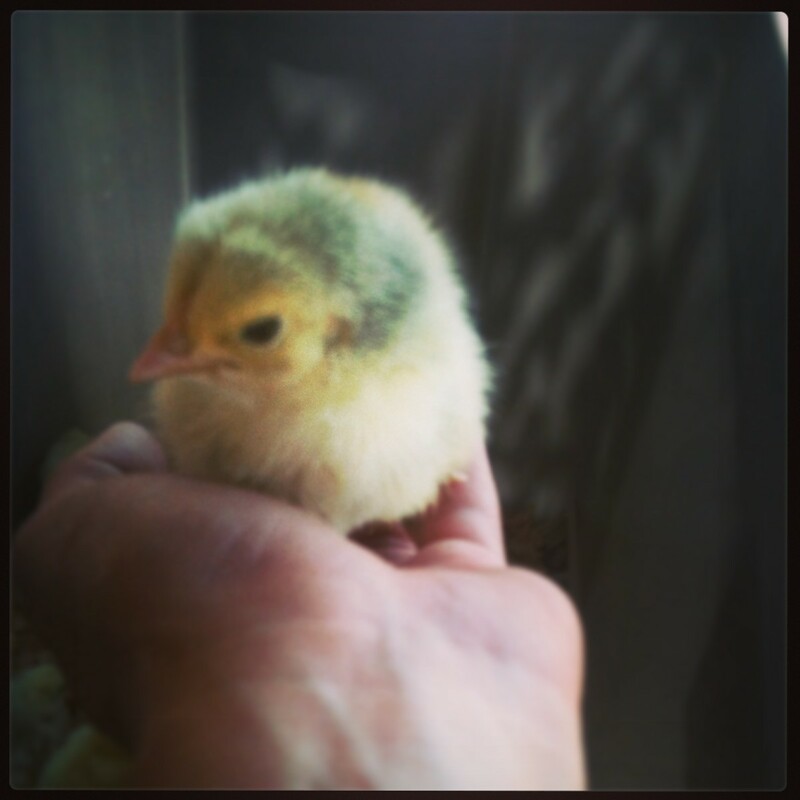 If you are raising the chicks as layers or pets, handling them when they are small is extremely important. 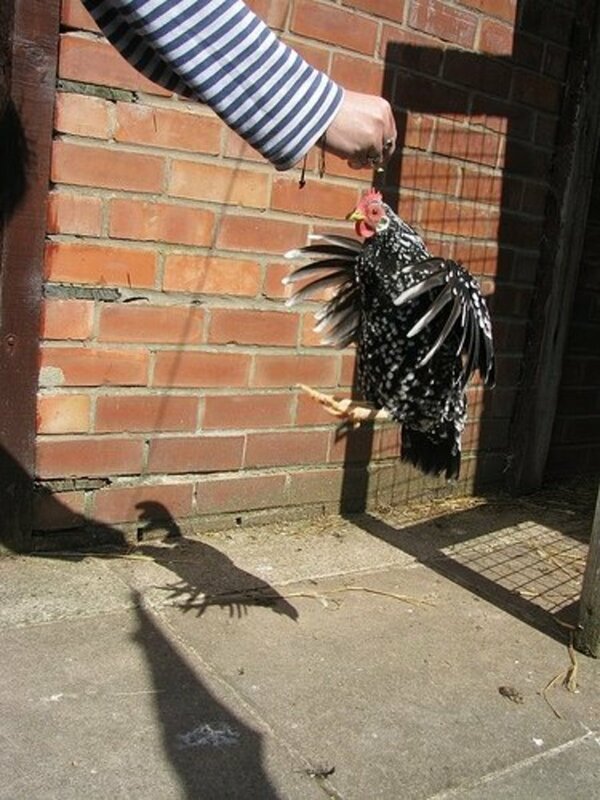 Chickens who aren't used to being handled will be difficult to catch if it becomes necessary for any reason. They can react to stimuli, similar to dogs, so if you don't want to handle a chicken to pet it or play with it, you can teach it to come to you by offering a special treat on a regular basis. Silver Laced Wyandotte chickens are easy to raise and the reward of fresh, homegrown eggs is definitely worth the minimal amount of time that it takes once the chicks have become pullets. 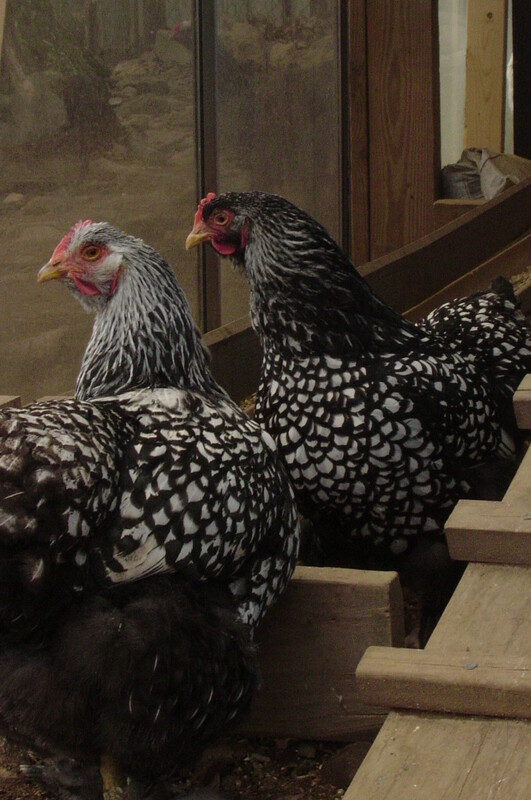 Do you have any Silver Laced Wyandotte chickens in your flock? Not yet, but I plan on it! When Will the Hens Start Laying Eggs? Similar to other chicken breeds, a Silver Laced Wyandotte will start laying eggs when she reaches around 24 to 28 weeks of age. There are a few things that you can look for that will tell you that fresh eggs are in your near future. 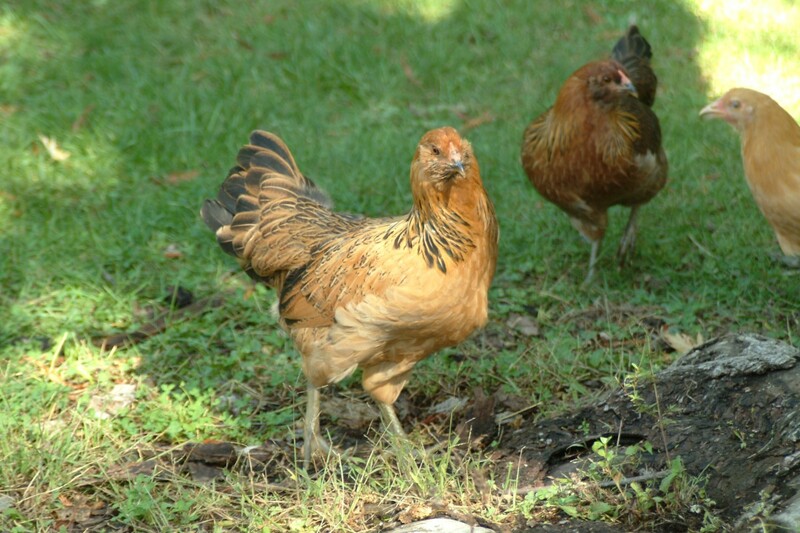 Comb and Waddle Color: The closer the pullet is to maturity, the comb and waddle will change from pink to red. Once the comb and waddle have turned red, you know that it is close to egg laying time. Squatting: The closer pullets are to egg laying time, you will notice that they start squatting. Nesting: Even though the pullet won't be hatching eggs, she will be visiting the nesting box quite often right before she lays her first egg. 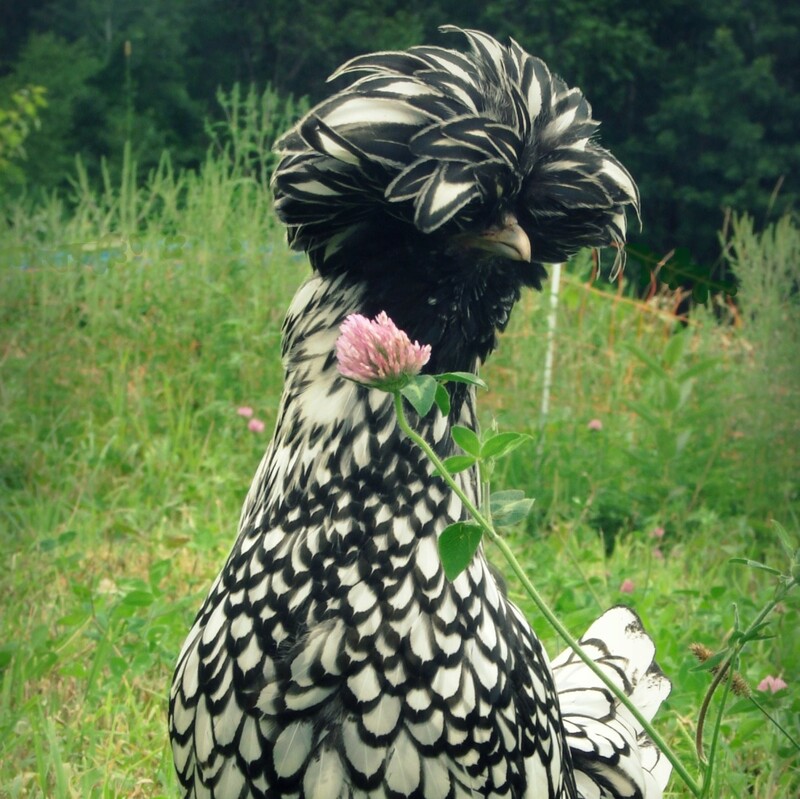 This breed of chicken is a beautifully feathered bird. When the roosters mature, the comb and waddle become larger and are a striking red up against the black and white feathers. Their tail feathers and saddle feathers will move slightly as the rooster walks. The hens will also have the dark red combs and waddles but they will be smaller and less prominent. Again, it is a striking red up against the black, white and silver feathers. These hens look amazingly plump when healthy and fully feathered. Their appearance is one of the main reasons this breed has increased in popularity over the years. 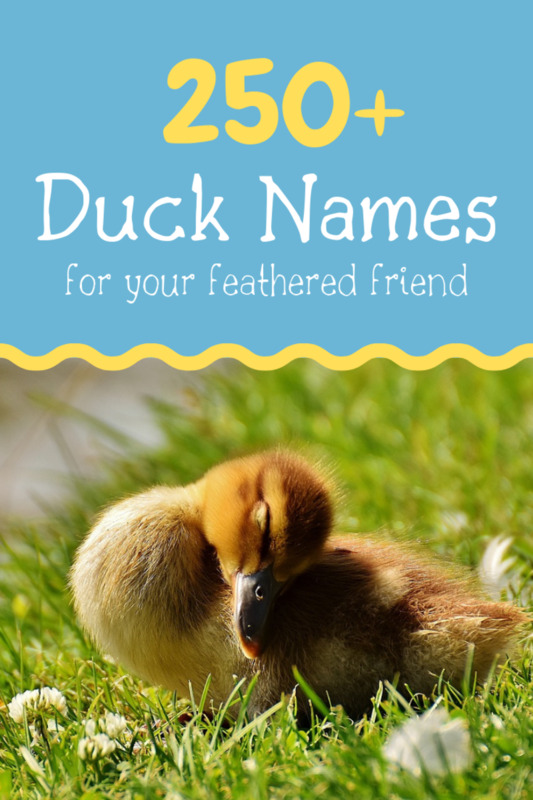 Originally classified as endangered, with the surge in backyard flocks and chicken owners falling in love with these birds they are currently classified as recovering. 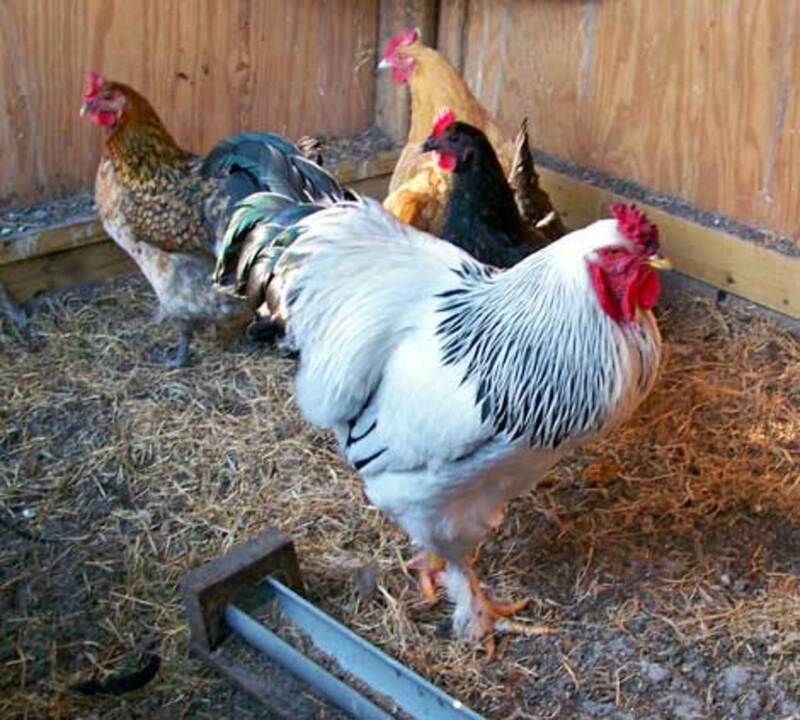 With the increase of the interest in this breed, they are readily available from many sources as chicks and pullets. 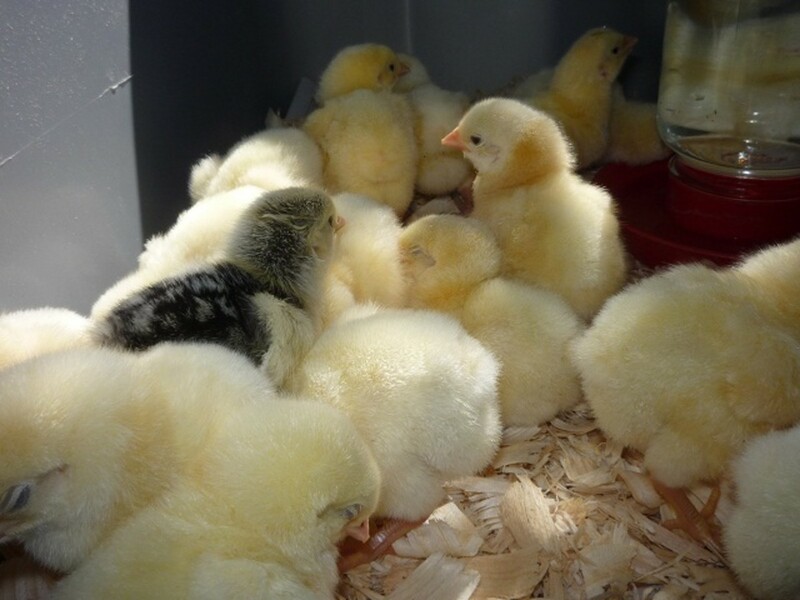 Mail-Order Hatcheries: You can easily find hatcheries online that will mail day old chicks to you. This option is not for everyone because the industry has set a standard minimum order of 15 or 25 chicks depending on the time of year the chicks are ordered. 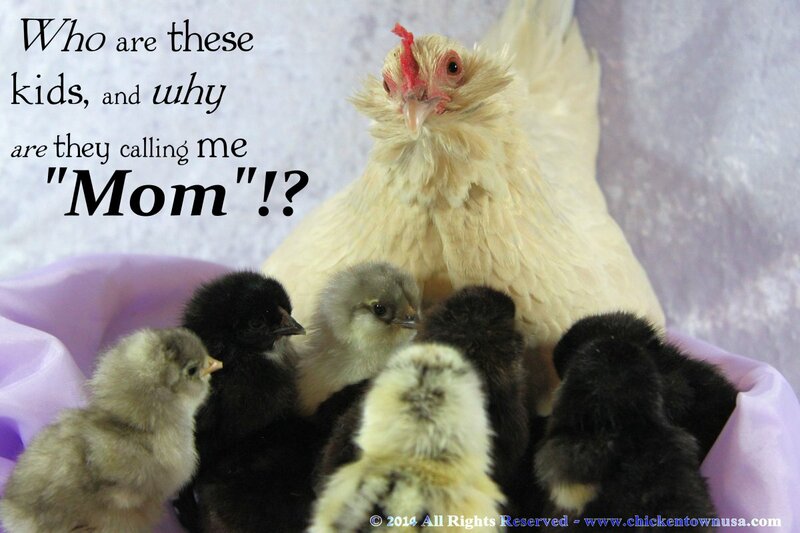 Feed Stores: Springtime is considered chick time for many local feed stores. Call ahead and find out if they have Silver Laced Wyandotte chicks in stock. Local Farmer: On occasion, you can find a farmer or chicken owner that is either wanting to re-home a current chicken or will have them for sale. A great place to locate either one is on CraigsList. No matter where you find your chicks, be sure to purchase chicks that are alert and moving around. If a chick appears lethargic or sleepy, chances are there may be a health condition involved with that particular chick so you will not want to purchase it. How do I tell the gender of a chick? The only sure fire way to know is when the chick starts to crow. Even the hatcheries get it wrong sometimes. Just wanted to comment I had two Silvers in my flock of Black Asterlopes last summer and one hen sat and hatched two black chicks,she was very proud of herself and did not care that they were not her off spring. I saw a Silver Laced Wyandotte Chicken at the fair last week. I would have liked to take her home with me. Beautiful birds. Congrats on HOTD. Voted up. Congratulations on winning the Hub of the Day, Helena! Congrats on HOTD! I am an ole' farm gal and grew up with chickens, but I've never seen this breed before. They are just beautiful! Chickens are very intelligent and make good pets, too. Helena, congrats on HOTD! Beautiful photos on that chick and chicken. Real interesting to know about those birds. Voted up! Great article. I'm raising my first batch of chickens, half silver-laced and half golden laced Wyandottes. They are a beautiful breed of chickens, and I would recommend them to a beginner. Thanks for the information. Great article! 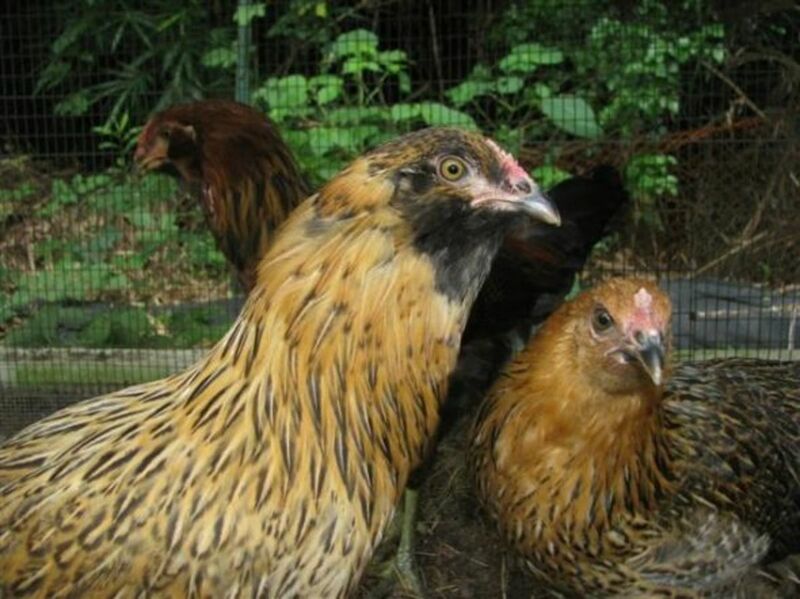 I've never considered adding the silver wyandotte to my flock, but they look stunning! I love the fact that they are dual purpose too; we raise chickens for meat and eggs. I'll be looking for some of these guys once the spring rolls around.